Home Bankruptcy BlogPersonal Bankruptcy Afraid To File Tax Returns Because of Tax Debts? Afraid To File Tax Returns Because of Tax Debts? Income taxes are a fact of life. You know this. Everyone knows this. And yet, there are still people that, for many reasons, don’t file and pay their taxes every year. The Canada Revenue Agency (CRA – formerly known as Revenue Canada) is what we call an involuntary creditor. CRA doesn’t lend you money. As a resident of Canada you are required by law to file and pay income taxes. When you don’t pay CRA, becomes your creditor – you owe the government of Canada money and like any other debt, it won’t go away. What makes CRA unique is the fact that it take the agency three or more years to catch up with people for not filing their taxes. Once they make that determination they do have some pretty terrifying powers of collection. First and foremost, CRA has the right to arbitrarily assess your income for any year that you don’t file. Once they make one of these assessments the taxes they say are payable become a legally binding debt. (CRA will still encourage you to file returns for any years they arbitrarily assess, but until you do the agency will act to collect on whatever tax debt they have decided you owe). Collection may take the form of freezing your bank account, a garnishee on your wages or a tax lien on your property. Freezing your bank account is CRA’s way of getting your attention. Normally they freeze the account and let it sit for a few days in the hopes you will contact them to see what the problem is. If you don’t contact them they have the right to simply seize whatever funds you have in the bank. You can imagine how unpleasant this is. Suddenly you can’t pay the rent, your insurance, buy groceries – your cash is gone. The wage garnishee may be anywhere up to 50% of your wages – that’s half your pay. If you are self-employed and collecting receivables instead of wages they may garnishee 100% of your receivables. 100% – that’s all of it and it is perfectly legal. As bad as that may sound, a tax lien may be worse. Once a tax lien is registered on your property is works like a mortgage. It will remain on your property until it has been dealt with. It may interfere with renewing your regular mortgage, refinancing your home, or selling your house. The worst part, you may not even know it is there until you try and do one of those things. 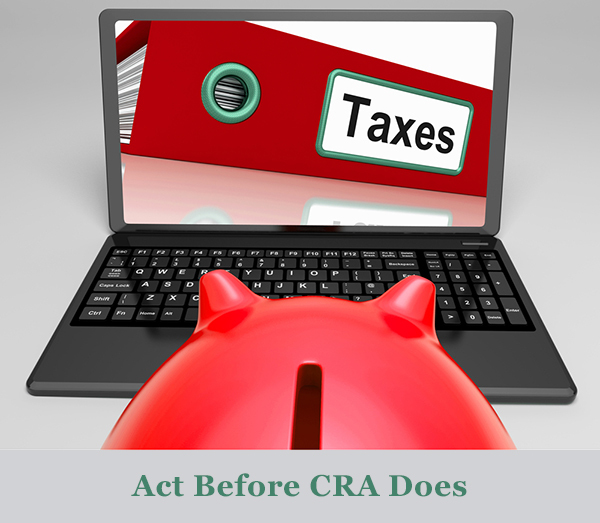 Having said all of that, what CRA wants first and foremost is for you to file all of your outstanding tax returns. Once you have done that, you can then work out a plan to deal with the debt. CRA will accept payment plans of up to 24 months to deal with tax arrears. 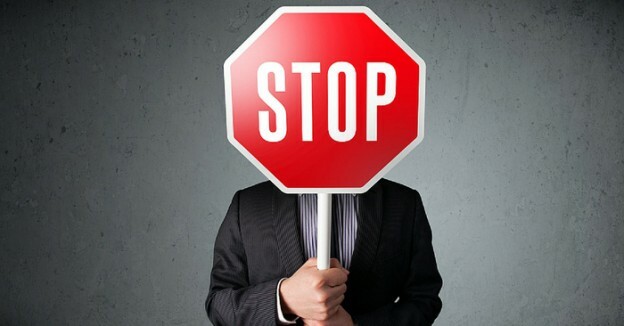 There are programs you may apply to in order to have your interest and penalties reduced – they don’t apply to everyone, but if you have a valid reason for not filing they can save you hundreds, perhaps thousands of dollars. If you have more tax debt that you can pay then you also have the right to file a consumer proposal or personal bankruptcy to deal with your debt. You cannot file on your tax debts only. You have to include all of your other debts when you file a proposal or bankruptcy, but that is probably a good thing. 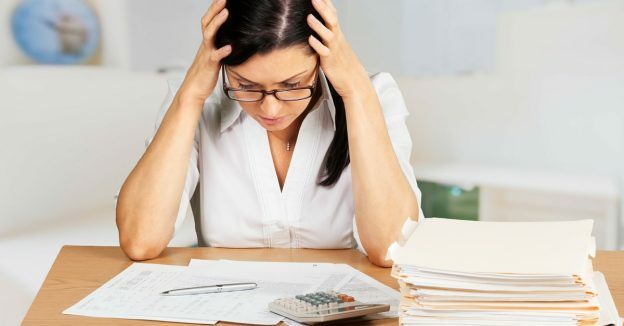 In most of the cases that I have handled for people with unfiled tax returns and high tax debts, they have also had a lot of other debts, like credit card debt, that need to be cleaned up to. It is better to develop a plan to file your taxes and deal with the debt on your terms, than it is to let CRA arbitrarily assess you and start their own collection actions. It may take CRA a couple of years to catch up with you, but once they do the powers of the federal government are literally terrifying. You don’t want to leave things so late that CRA decides to deal with you, because it will be much worse than dealing with this yourself. Ted is a Licensed Insolvency Trustee and Chartered Accountant. He is a co-founder of Hoyes, Michalos & Associates Inc., one of the largest personal insolvency practices in Canada. CRA Has Frozen Your Bank Account. What To Do. 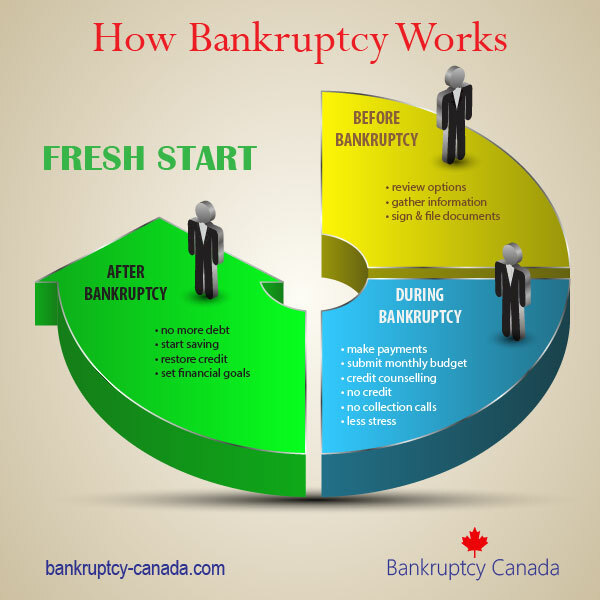 Is Filing Bankruptcy in Canada a Good Option for Tax Debt? I am writing to thank you for your post on being afraid to file. I am in the process of filing years of back taxes. I wasn’t able to do it before – it involved sifting through a lot of emotionally painful things to look for records etc. I lost my job and was diagnosed w severe depression in 2008. It was right after I finished university, so it’s not like I had any income built up when it happened either. For me, the road back took years and I was lucky to make it. Recovery was gradual. Until quite recently – any reminder of that time, my old “other life” would make me feel ill and on the verge of panic – certainly incapable of focusing and doing anything productive. I was scared to go back and do anything that upsetting – as if I’m trying to act out a normal life on thin ice. Now I am so much better and stronger. Still – it is taking everything I have to go through all this stuff and pull together what I need to file. I am ignorant of the consequences and I feel so anxious and guilty about this situation I’ve managed to get in. Just tonight I was thinking about finally having all the stuff I need to file….but then what? What if I don’t have however much they want me to pay? What happens then? Does it automatically make me a criminal? Would I have to go to jail? I talked myself down and found your post. It sounds very reasonable. I’m sure I can cough up whatever they’ll need within 24 months, and I can provide medical documentation regarding an extended period of greatly reduced abilities, etc. Your post was a reminder that I’m doing the right thing and I’m going to be OK. Thank you SO much for writing it. I can’t wait to get this taken care of and move on with my life.